Hello, I am Mrs.Annabelle Ben, I am a US citizen, 51 years Old. I reside here in Silver Springs Florida, United States, am thinking of relocating. I am one of those that took part in the Compensation in Africa many years ago and they refused to pay me, I had paid over US$47,000 while in the US, trying to get my payment all to no avail. So I decided to travel down to Benin Republic with all my compensation documents, And I was directed to meet Agent Toms Smith, who is the member of COMPENSATION AWARD COMMITTEE, and I contacted him and he explained everything to me. he said whoever is contacting us through emails are fake. Agent Toms Smith took me to the paying bank for the claim of my Compensation payment. Right now I am the most happiest woman on earth because I have received my compensation funds of $1.5 Million US Dollars Moreover, Agent Toms Smith, showed me the full information of those that are yet to receive their payments and I saw your email address as one of the beneficiaries, that is why I decided to email you to stop dealing with those people, they are not with your fund, they are only making money out of you. I will advise you to contact Agent Toms Smith. You have to contact Agent Toms Smith directly on this information below. COMPENSATION AWARD HOUSE: Name : Agent Toms Smith Email: tomss.smith@yandex.com You really have to stop dealing with those people that are contacting you and telling you that your fund is with them, it is not in anyway with them, they are only taking advantage of you and they will dry you up until you have nothing. The only money I paid after I met Agent Toms Smith was just US$350 dollars for the paper works, take note of that. As soon as you contact Agent Toms Smith he will send you the payment information which you are to use in sending the payment to obtain the document from the court of law there in Benin Republic so that your fund can be transfer to you without any delay just the way mine was being transfer to me. Send Agent Toms Smith the following details if you know you are ready to have your FUNDS so that as soon as he receive your information he will send to you the payment details for sending the $350 USD that is needed to get the document to make the transfer a successful one and that is the only payment i made to Agent Toms Smith and he help me in the transferring of my FUNDS and i most say that you have to contact him so that he will help you the way he help me to Get my FUNDS without any further payment. Fill Out the information to him if you are ready to get your Funds; Your Full Name:. . . . . . . . Direct Phone:. . . . . . . . . . Country. . . . . . . . . Occupation:. . . . . . . . . . . Gender:. . . . . Age:. . . . . . . Once again stop contacting those people, I will advise you to contact Agent Toms Smith so that he can help you to Deliver your fund instead of dealing with those liars that will be turning you around asking for different kind of money to complete your transaction. Thank You and Be Blessed. 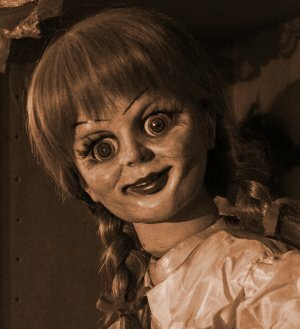 Mrs. Annabelle Ben. Hello, I am Mrs.Annabelle Ben, I am a US citizen, 51 years Old. I reside here in Silver Springs Florida, United States, am thinking of relocating. I am one of those that took part in the Compensation in Africa many years ago and they refused to pay me, I had paid over US$47,000 while in the US, trying to get my payment all to no avail. So I decided to travel down to Benin Republic with all my compensation documents, And I was directed to meet Agent Toms Smith, who is the member of COMPENSATION AWARD COMMITTEE, and I contacted him and he explained everything to me. he said whoever is contacting us through emails are fake. Agent Toms Smith took me to the paying bank for the claim of my Compensation payment. Right now I am the most happiest woman on earth because I have received my compensation funds of $1.5 Million US Dollars Moreover, Agent Toms Smith, showed me the full information of those that are yet to receive their payments and I saw your email address as one of the beneficiaries, that is why I decided to email you to stop dealing with those people, they are not with your fund, they are only making money out of you. I will advise you to contact Agent Toms Smith. You have to contact Agent Toms Smith directly on this information below. COMPENSATION AWARD HOUSE: Name : Agent Toms Smith Email: tomss.smith@yandex.com You really have to stop dealing with those people that are contacting you and telling you that your fund is with them, it is not in anyway with them, they are only taking advantage of you and they will dry you up until you have nothing. The only money I paid after I met Agent Toms Smith was just US$350 dollars for the paper works, take note of that. As soon as you contact Agent Toms Smith he will send you the payment information which you are to use in sending the payment to obtain the document from the court of law there in Benin Republic so that your fund can be transfer to you without any delay just the way mine was being transfer to me. Send Agent Toms Smith the following details if you know you are ready to have your FUNDS so that as soon as he receive your information he will send to you the payment details for sending the $350 USD that is needed to get the document to make the transfer a successful one and that is the only payment i made to Agent Toms Smith and he help me in the transferring of my FUNDS and i most say that you have to contact him so that he will help you the way he help me to Get my FUNDS without any further payment. Fill Out the information to him if you are ready to get your Funds; Your Full Name:. . . . . . . . Direct Phone:. . . . . . . . . . Country. . . . . . . . . Occupation:. . . . . . . . . . . Gender:. . . . . Age:. . . . . . . Once again stop contacting those people, I will advise you to contact Agent Toms Smith so that he can help you to Deliver your fund instead of dealing with those liars that will be turning you around asking for different kind of money to complete your transaction. Thank You and Be Blessed. annabelleben71@gmail.com Mrs. Annabelle Ben.